← Pick A Day…It’s WIAW!! I truly am fogged in at the moment. It’s kind of creepy and cool outside. If my NaNoWriMo novel was scary and atmospheric, this would be perfect! I’m not sure what it is. It’s starting to feel sad and that wasn’t my intention. One of my NaNo writing buddies suggested the device where if things aren’t going well in your writing you can introduce a ferret! Hmmm…there was this boa constrictor I remember…her name was Monique…maybe… But let’s forget about that now, at the moment we’re on BCDC! I love What I Ate Wednesday over at Peas & Crayons! Jenn, you are the Best!! I get so many wonderful comments and visitors. Please keep coming back to visit, BCDC is a fun place to be! My problem is that I get confused about what I’ve told you, so again, I’m just going to dive right in! Went out for some fun shopping again with Gail and Alice. This time Angie came along with us. We headed to the Christmas Tree Shop. They have such a cool assortment of things and I wasn’t even looking as Christmas decorations. Here are my treasures from that trip. Those wonderful little spoons I see everyone using. $1.69 for four! I probably should have gotten more! 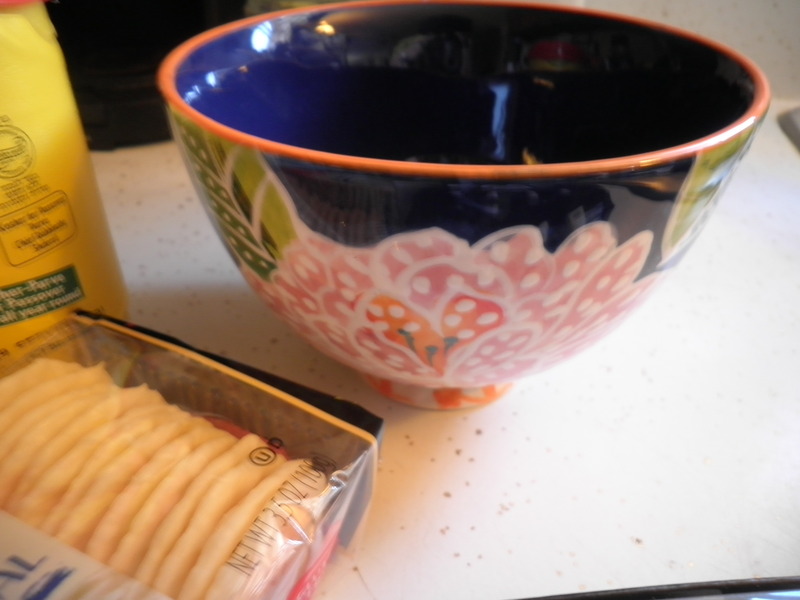 A wonderful new bowl for $2.99! While we were out we stopped at our usual fave…Taco Bell! 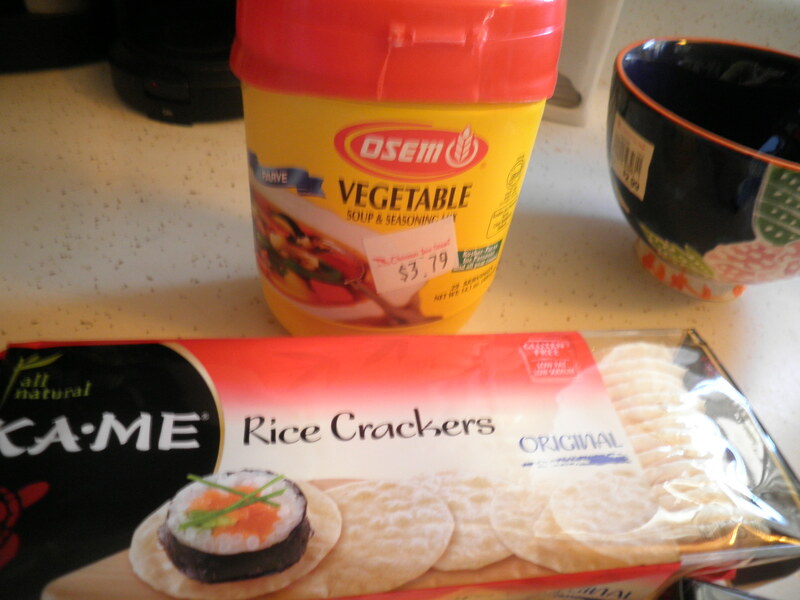 Cheapest lunch around! 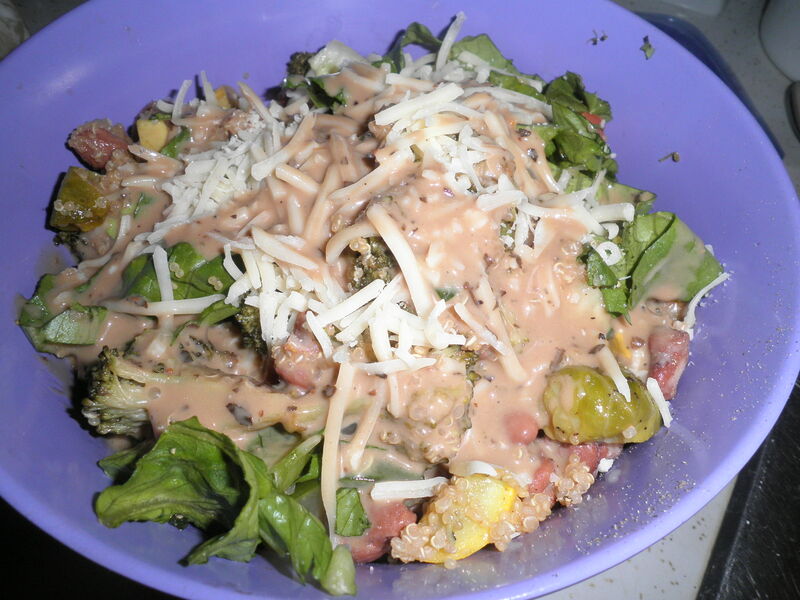 Tuesday night, I built a salad in my Big Purple Bowl using the roasted veggies. I never thought I’d say this, but I think I’m over salads for a while. This was tasty but it was all I could do to finish it. As the weather gets cooler, I guess I’m back to my stir fries, but now I will be doing a lot more with roasted veggies. I need to come up with some interesting combos. We’ll see what develops! 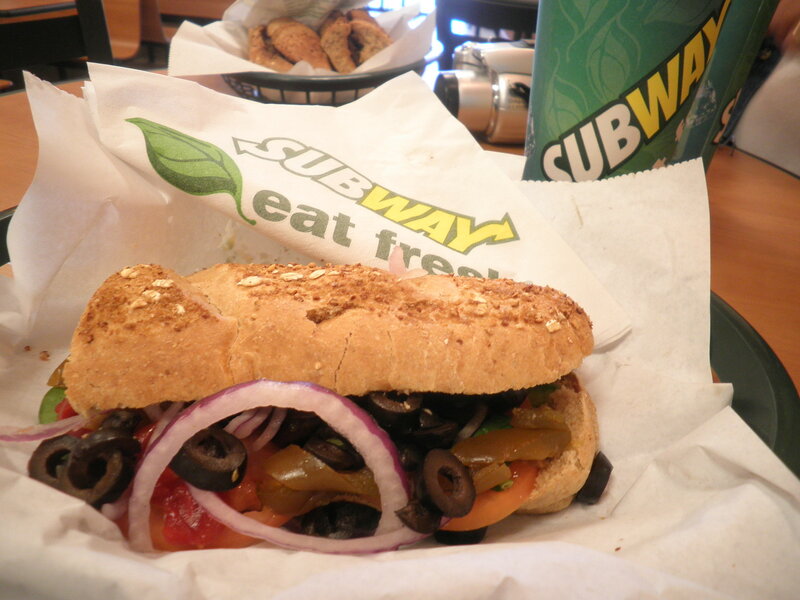 Ralph and I decided on lunch out on Wednesday and Subway was fast and easy. No earthquake this time, but as usual my veggie delite was yummy. They have pepper cheese now so that added to the excitement. Love it! 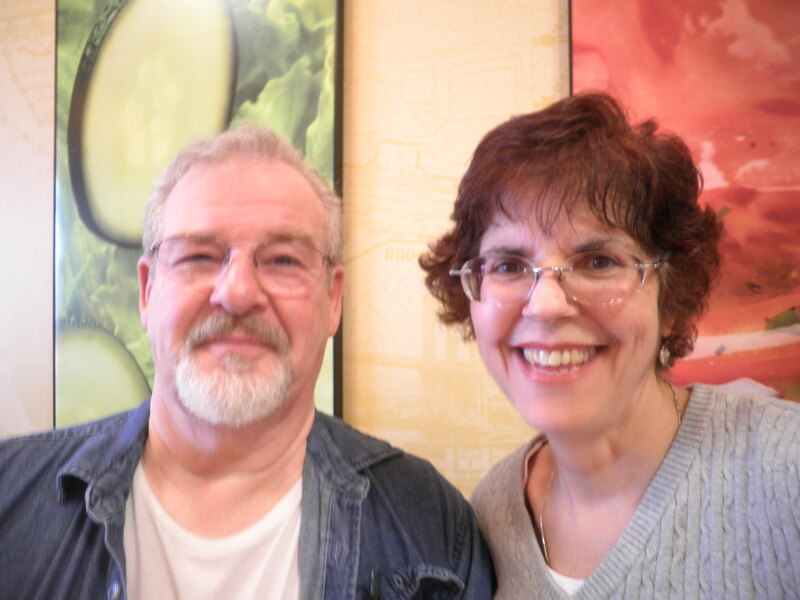 Ralph hates when I say I want to take our picture, then he tries to direct me…hmmm…wish he’d buttoned his shirt…guess I could have combed my hair…and worn a little makeup…oh well, we had fun! 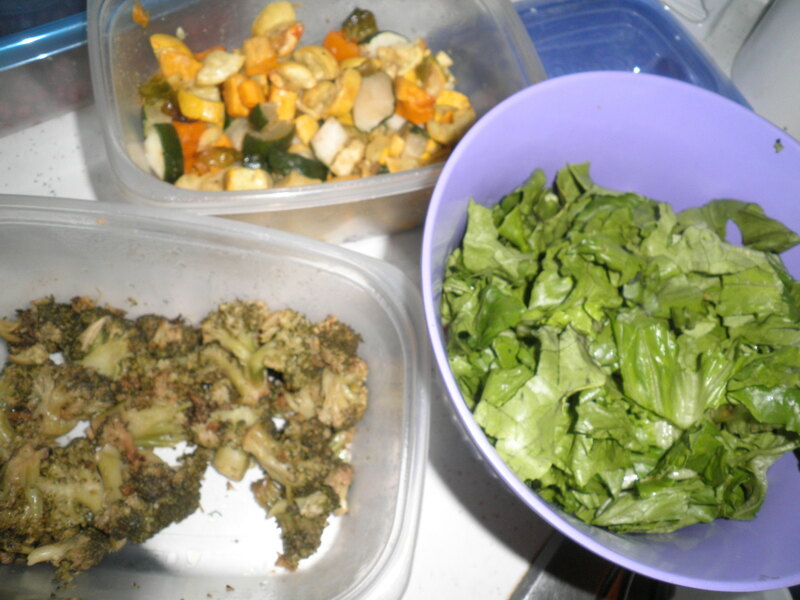 Wednesday night’s dinner was the best yet with the roasted veggies. 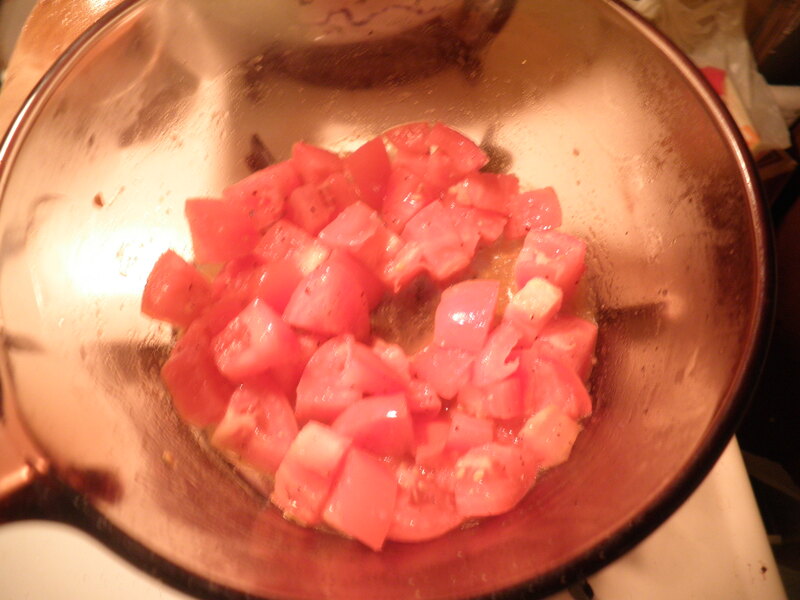 Two Roma tomatoes, chopped and sautéed in olive oil, S & P and garlic powder. 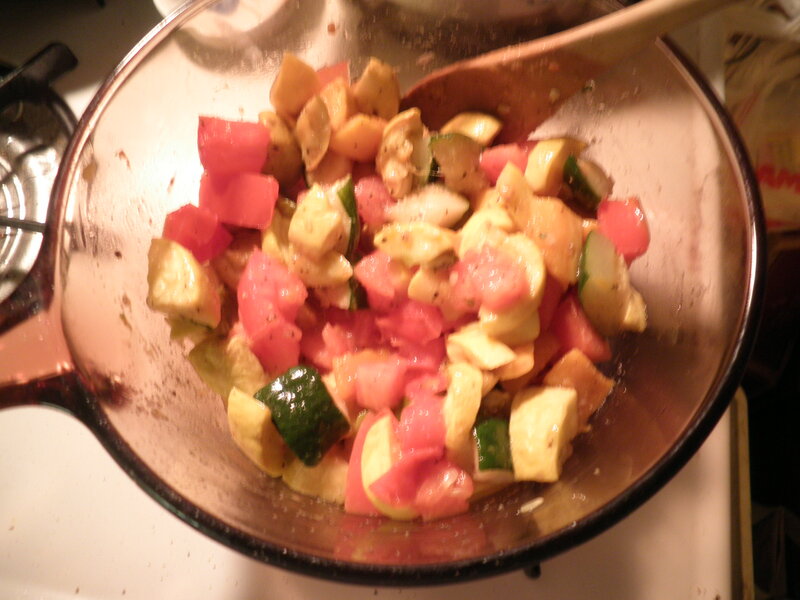 Last of the roasted veggies-mostly zucchini and yellow squash-same seasonings added. 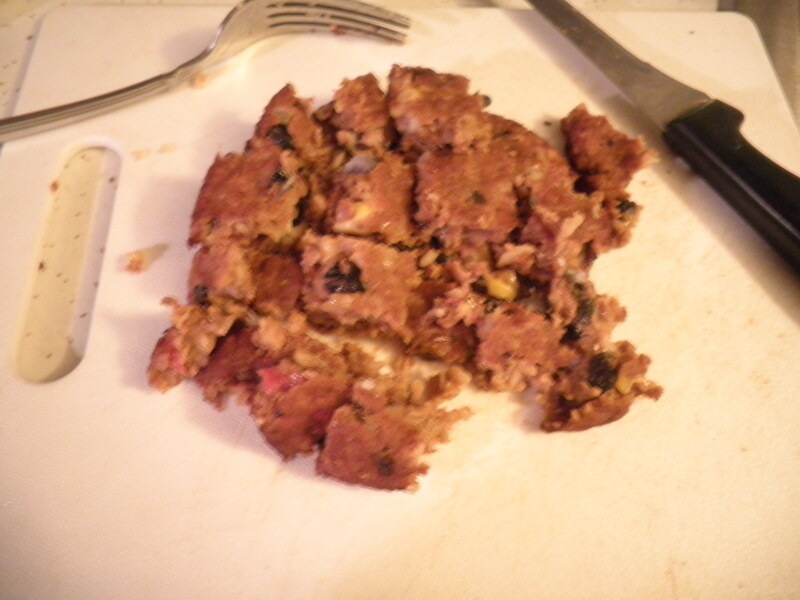 Two Morningstar Farms Spicy Black Bean Burgers microwaved for 1 minute then chopped. Last of the pre-made quinoa on the bottom, the last of my Cabot 50% reduced fat cheddar 😦 and as a reader called it yesterday-Rooster Sauce! Sriracha of course. 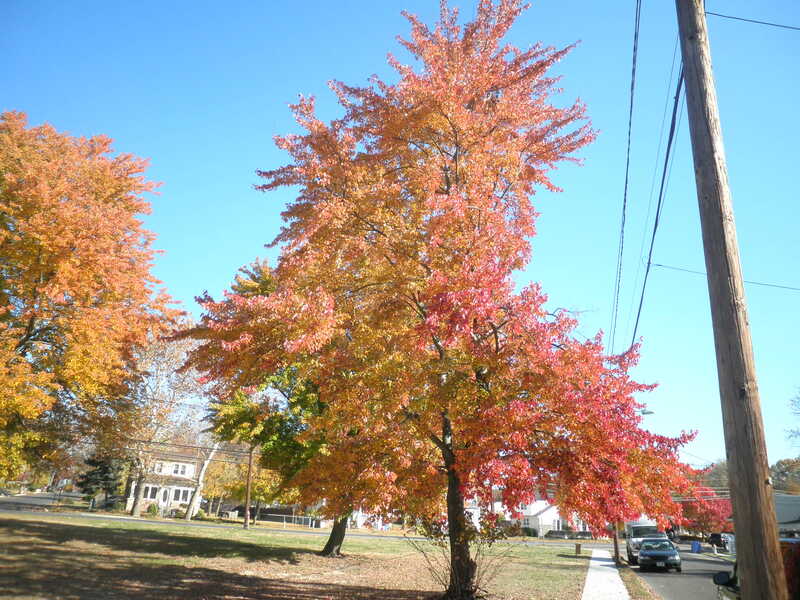 What would the end of a post at BCDC be without a Fall picture or two? I have to get myself writing now. Hope the fog clears both outside and in my head! 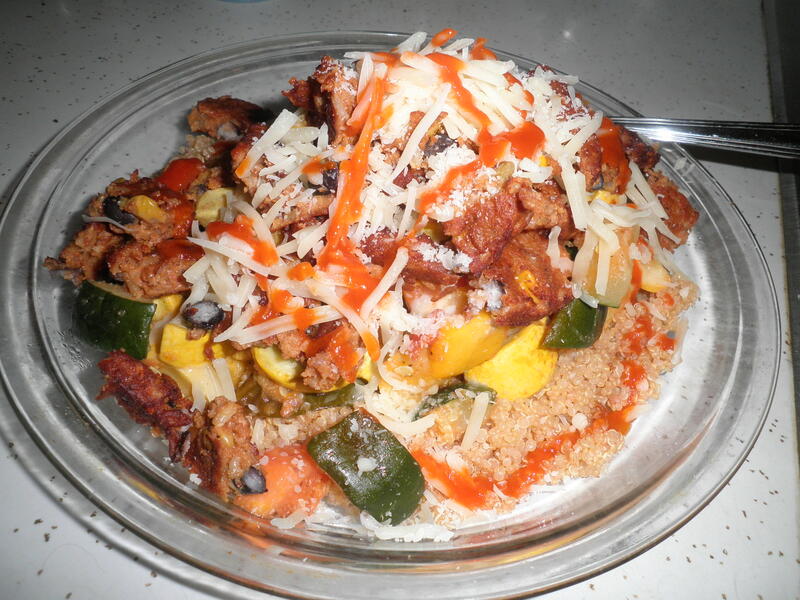 This entry was posted in Uncategorized and tagged Big Purple Bowl, Fall, veggies. Bookmark the permalink. I’m always hungry after reading your blog. Where is the Peas and Crayons located? I like the teaspoons, are they for used for a specific purpose? You should get a commission for all the food referrals! I’m impressed with all of your uploading of pictures and captioning them. I haven’t tried that yet (I’m rather inept from a technical standpoint). And the fog was awesome! I went out about 8:00 to walk the dog and saw that rich, milky atmosphere. Hey, Jordan! Welcome to the fun! It’s not difficult to do the photo thing. I don’t usually caption them, but that’s not difficult either. I keep thinking I need to that. You can do it. We’ll whip you into shape in no time! 😉 I got some amazing fog photos after I did the post. Check tomorrow and you’ll see them. Look forward to working at this blog thing together! Stay in touch and I’ll be glad to help however I can! Thanks, Laura. I think Ralph is pretty cute, but he’s always saying I must need new glases! 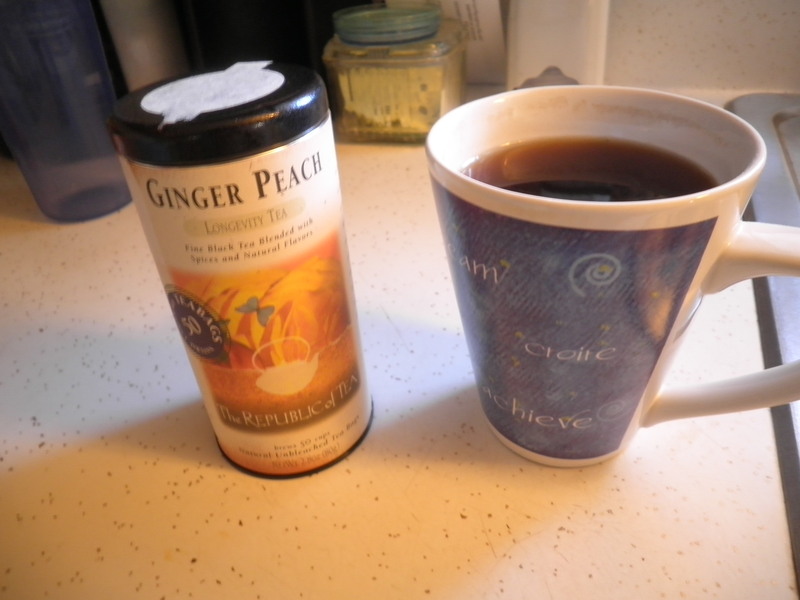 That is my Favorite tea. It does the trick to make me calm and productive! I really like salad, but sometimes it feels like it takes forever to munch through it all, especially if you have a lot of raw veggies in there. I like to mix it up with soups and stews to get a bit of variety of texture. You’re right, Sarah. I think I over saladed myself over the summer. I can’t believe I said that! Soup is what I’m thinking about! I don’t think I could ever get tired of salads! They’re so versatile so I’m never bored. 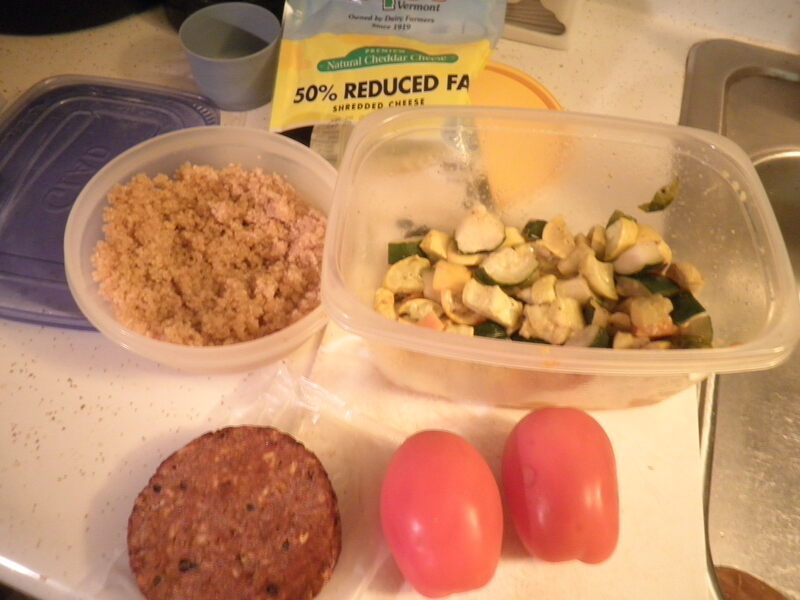 I especially love salads with those morningstar black bean burgers – they are the best!! I love those burgers too, Tara. I’ve just had so many salads in a row, I need a bit of a change. Think I’ll make some soup! I’m at 12345 words. How cool is that? I almost don’t want to write any more, because I don’t want that number to change. Ha! I’ve got to get to work though, since I’m really behind. I always find that I struggle to finish a bit salad. I only like salad in small portions on the side of a meal. I’ve never been able to eat a salad as a meal and feel satisfied. HOW did you get that number, Stephanie! That’s so cool! You’re doing great, just stick with it. 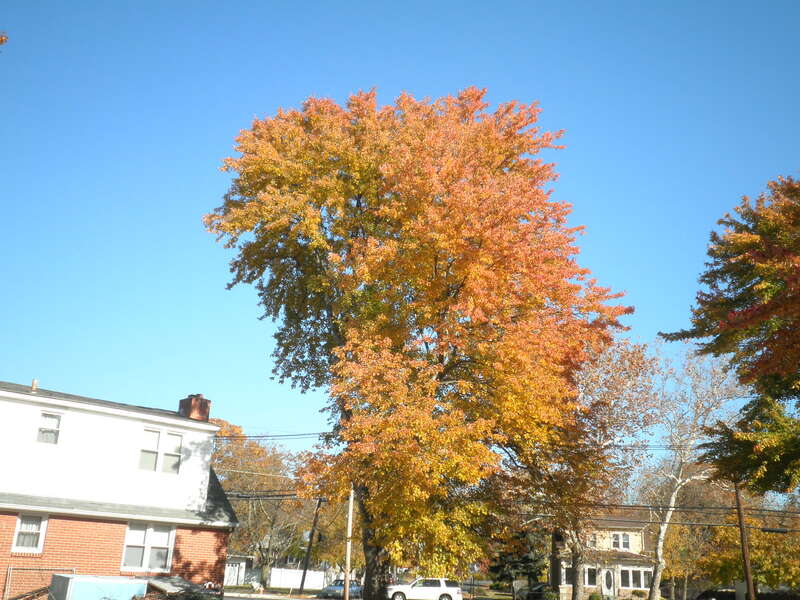 I’m feeling a bit stuck but just ran a few errands and looking at the Fall helped some. Hang in there, you’re our Captain! I don’t get very excited about salads in the winter either, pfft. Just never sounds/tastes that good–but I love a good one in the summer! And I love those spoons, they look like fun. 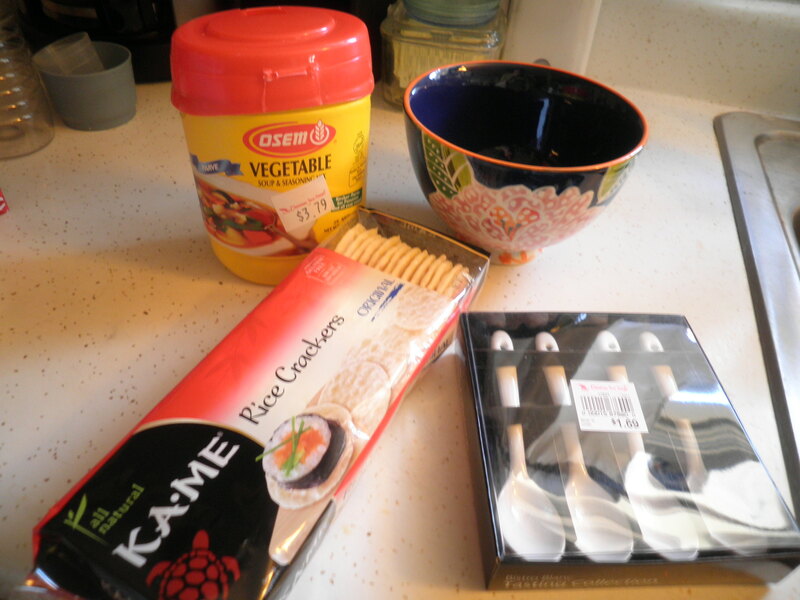 Especially for soup–miso soup! Now I want some. Allie, I just got miso soup packets at the store. I’m going to use them for snack in the evening. Haven’t tried them yet. 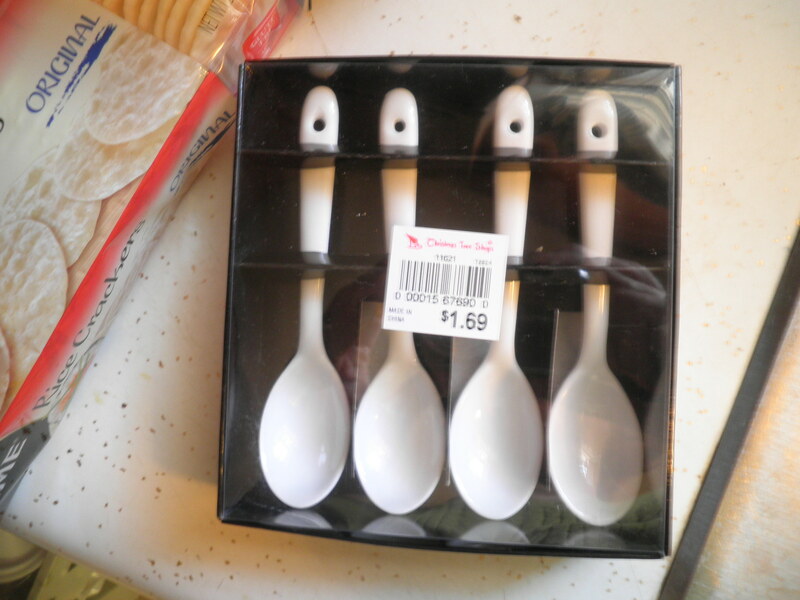 I love the spoons, I should have gotten more for such a bargain! 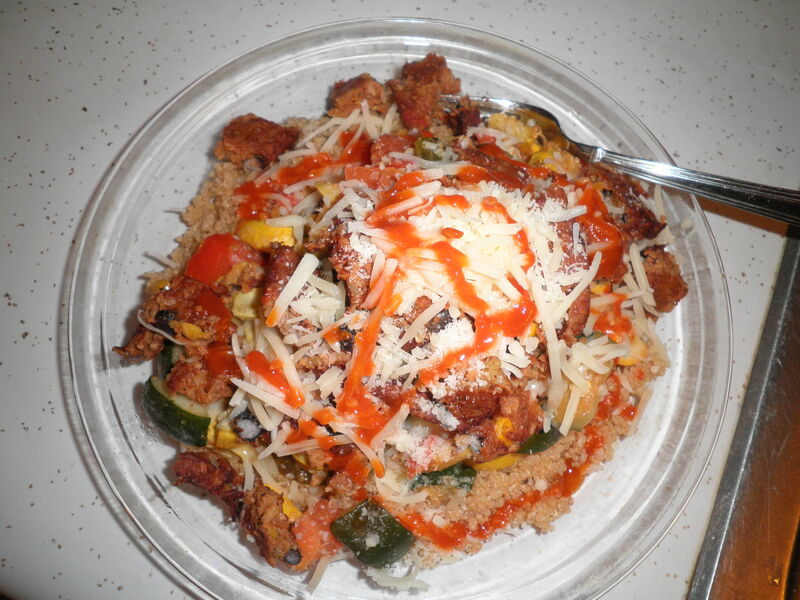 Mmmm – good eats! 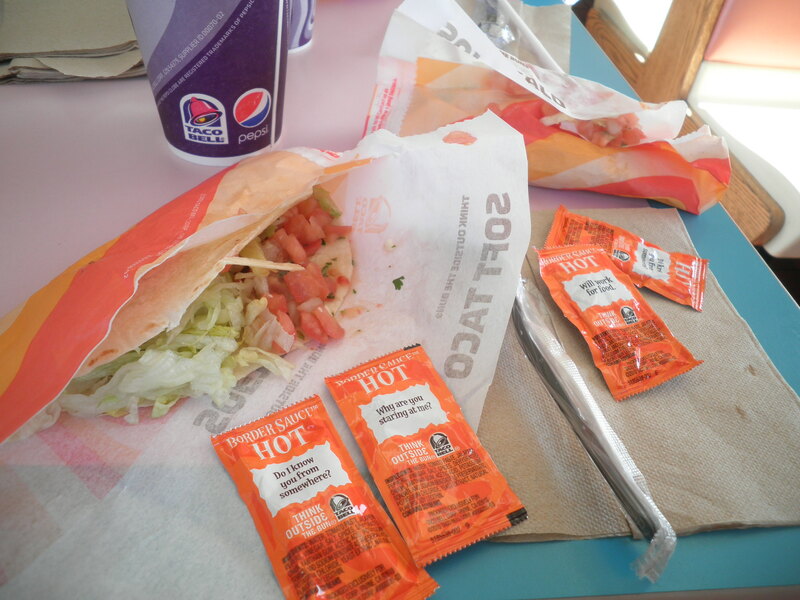 I have to admit that I too am a big fan of Taco Bell (and they’re funny little sauce packets). Hi Tiff! Thanks for stopping by! I love Taco Bell, the things I really like are the cheesy bean and rice burrito and the 7 layer burrito, but they are way too many Points for me! I love their sauce too! Come back to visit again! Over salads? Say it isn’t so. It is good t mix it up every now and again though. Don’t worry, Marie…it’ll probably last about 3 days and I’ll be back. Looking at my fridge at the moment, a salad may be my only option for dinner! 😉 I need to make some soup though, I’m feeling the need! Love those new dishes!!! I love shopping for what I call my “staging dishes” lol. So cute! And yum spicy black bean burgers is my fav too! Hi Carolyn! I love the “staging dishes” too. That’s what this is. I need to get better at staging, but I have the tiniest piece of counter which is my only spot. Need to use some placemats to spruce things up. I love black bean anything! sometimes I get the flatbread is they offer it!